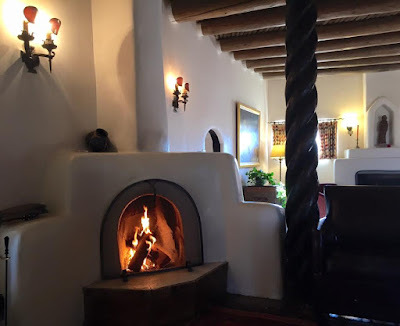 Today I am sharing a post that continues to highlight my experiences in Taos, New Mexico at A Case of Curiosities, my week-long retreat that I cohosted with Roxanne Evans Stout. You can see my first post, highlighting images from Taos, here. The venue that one chooses for their retreat can make or break the experience. 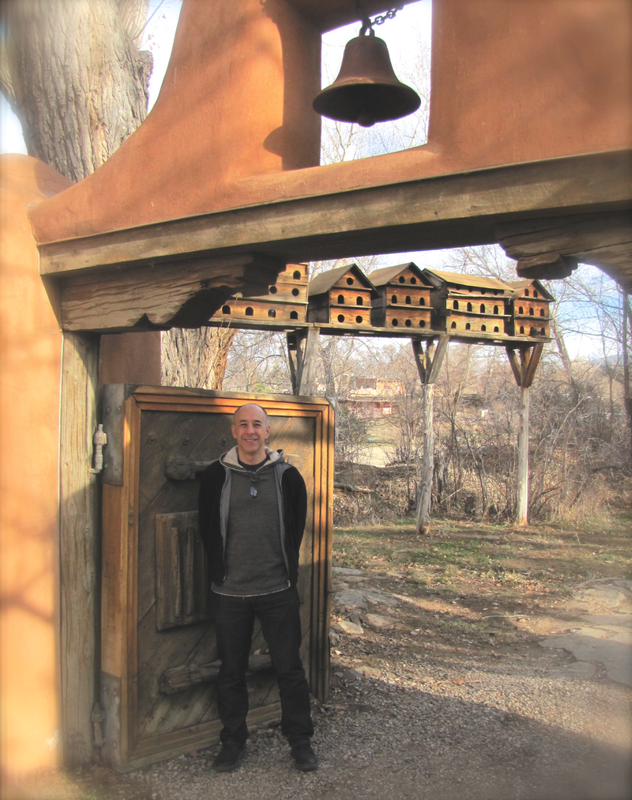 Roxanne and I chose to hold ours at Mabel Dodge Luhan House. The word perfect is certainly overused...but there is no better way to describe this place. It was as big a part of the retreat as were the students! MDLH is actually made up of a number of buildings, built at different times. There is an extraordinary amount of history connected with MDLH and a cast of characters who have stayed here that make this venue extremely fascinating. There is even a ghost -- and we had an experience to prove it. From the moment we arrived, the magic began. 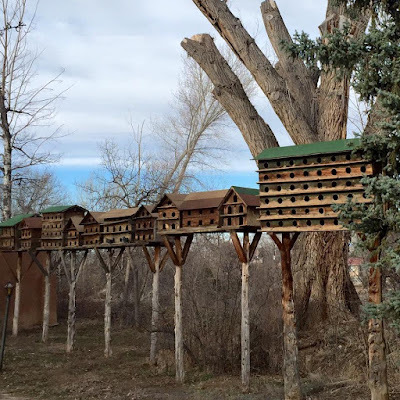 These incredible dove houses, built in the 1920s, mesmerized me. The one on the right reminded me on a NYC condominium -- and may actually have more space than a typical NYC one bedroom. Dennis Hopper used to ride his motorcycle on this roof. And those bathroom windows were painted by DH Lawrence so that nobody could watch Mabel herself take a bath. Their newest building for retreats, so new that it hadn't been used yet, has a meditation room that was the definition of spiritual sanctuary. ...and the perfect views to wake up to. In between the hours of workshop time, we tried to spend some time by the fire in the main building. The food was spectacular and somehow the chefs were able to accommodate all the different dietary restrictions that this group came with. And everyday, I awoke to the smell wafting up to my room. The retreat would not have been the same if held elsewhere and I'd like to thank Mabel and the entire staff at MDLH for an experience that I will never forget. Amazing architecture! Gorgeous in its starkness. Looking at it, I felt transported there. FANTASTIC! Thanks for posting the photos. It has been fun to see and feel the retreat experience. Thanks for sharing Seth. This is the kind of magical place that will stick with you for a long time to come. You met a ghost???!?!?! And you didn't tell us the story about meeting the ghost?!?! I'm absolutely GREEN. What a fabulous place! TAOS!!! The instant I saw the first picture my heart clinched. Such a spiritual and romantic place. I've spent lots of time there. You are blessed to have had the Taos experience. Please tell me you were able to eat at Michael's. What a remarkable venue, Seth--a work of art in itself! Wow! Love the dove houses! It was an unforgettable week Seth, the workshop, the projects, our students (!) 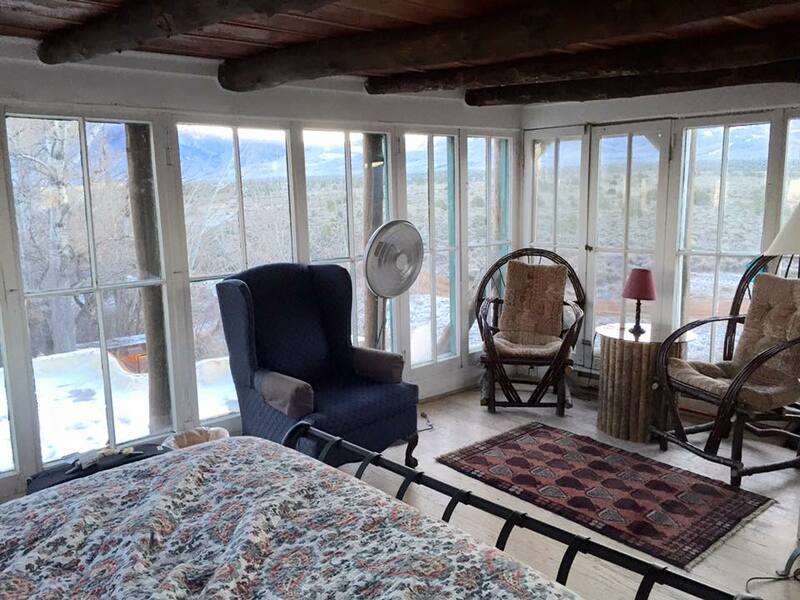 and Mabel Dodge Luhan House itself. I feel as if part of me is still there. Thank you for all of your magic! So, so wonderful Seth! Great shots! Thanks so much for sharing the beauty of your terrific trip!